What is your favourite song of Timbaland’s 'shock value' album? Do anda like Timbaland more..
What is two of your favourite songs sejak Timberland? On a scale of 1 to 10, how would anda rate Timbaland as a rapper? What quality do anda most like about Timbaland? He is the man... Timbaland. He has worked with many people and the songs he had sung, produced atau composed sejak him is always loved sejak the people. Every is aware that timbaland is an amazing guy.. He works fantastically with many people. He always comes out with a new style... Almost all his albums are rocking especially Shock value.. As we can see many people liked The way I are... I guess he gets along with the artists he sings with very well..HE IS THE MAN !!! He can also think of different rythms and beats and tunes u name it... And whatever he does it is loved! @FanRICH : Mixtape completion sitting on 80%, lebih info as we go on. peti masuk me with dirrections to where you'll be on the 28th if your in Durban and we'll make a mission for one of our jalan team member to deliver the mixtape to anda !!! Reach me on : gbotkidrecords@gmail.com/0846897748/or cari Beast Kusher,NorthernSmokeGang,Gbotbot kid, atau Hurley boys and you'll get full on kemaskini about the stable ! !....NorthernSmokeGang.GBot Kid !! N.S.G.B.K.N.R.Ki !!! a question telah ditambah: What is two of your favourite songs by Timberland? a comment was made to the pop quiz question: TRUE atau FALSE: Timbaland married his long time girlfriend, Monique Idlett in June 2008? a comment was made to the poll: Which Song is better ? 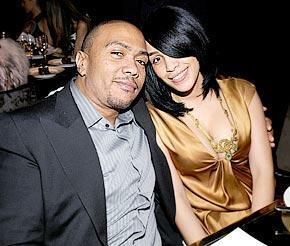 TRUE atau FALSE: Timbaland married his long time girlfriend, Monique Idlett in June 2008? If anda like Timbaland, you'll Cinta DZHAM!